Since the 11th century, the territory of today’s Czech Republic has been part of the Western ecclesiastical tradition. New religious orders came to this country, bringing with them scholarship and new views on architecture. Monasteries and cathedrals were built, and the tradition began of pilgrimages to holy places. The Benedictines were the messengers of the Romanesque style, building rotundas, churches, basilicas and monasteries. They propagated the cult of saints, and they had aspirations for each of their abbeys to become an important place of pilgrimage. In addition to its decorative function, sculptural and painted ornamentation also took on an educational purpose – depicting the lives of saints and royal families. You can see this, for instance, in the St. Catherine Rotunda, which is part of the castle complex in Znojmo. On its walls, unique paintings with Christian and secular themes are preserved. From the mid 12th century, another important order was the Cistercians. Their monasteries came to symbolize the prosperity of the country, education, art, and care for the needy. Development of mathematics and geometry gave rise to another new style – the Gothic. In addition to monasteries, majestic cathedrals were built whose stained glass windows told stories of saints in an even more compelling manner. 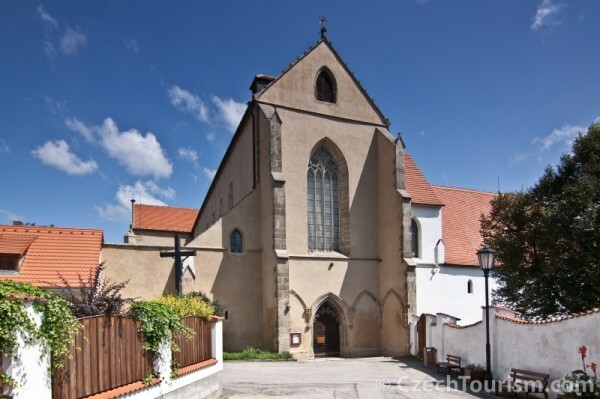 Monasteries in Bohemia and Moravia are interesting not just for their architecture and their genius loci, but also for their very close connection with beer. The history of monasteries was linked with brewing beer from the beginning. Indeed, beer brewing was inherent to the monastery foundation charters themselves. Until roughly the 12th century, beer was part of the daily diet, and its preparation was taken as a given, primarily in convent kitchens. The ingredients in beer diversified the diet, particularly in periods of fasting. Designated spaces for brewing gradually began to be established in monastery complexes, thus breweries. Today we are reminded of this connection in the names of some beers and breweries themselves: Opat (Abbot) from the Broumov Monastery, Klášter (Abbey) from Klášter Hradiště nad Jizerou, or St. Norbert (Strahov Monastery in Prague). The foundation charter from the mid 13th century of the Benedictine Monastery at St. Margaret in Prague’s Břevnov Monastery (see page 5) mentions the right to brew beer. You can still taste beer here today, under the name Břevnovský Benedikt. The Cistercian monastery in Vyšší Brod near Český Krumlov was founded by the Rožmberk (Rosenberg) family in 1259 and was not inhabited by monks for a long time. Construction of the monastery took more than 100 years. The most valuable artefacts are the Vyšší Brod Madonna, one of the most beautiful surviving examples of Gothic panel painting in Bohemia, and the rich monastery library. A few kilometres from Český Krumlov, on a promontory above the river Vltava, stands a lovely Cistercian monastery, which is considered to be one of the most valuable complexes of Gothic architecture in Central Europe. The picturesque monastery complex is a place of architectural treasures and other points of interest. 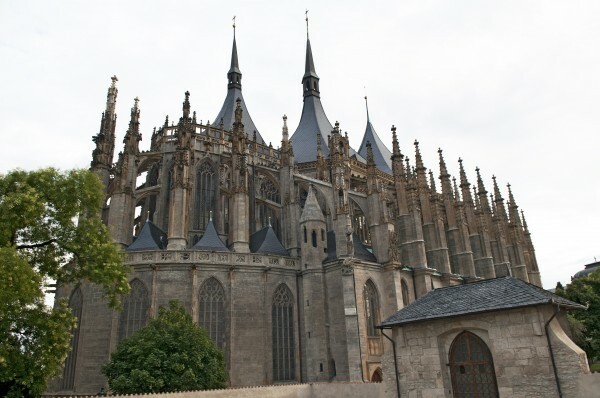 For example, the local Church of the Assumption of the Virgin Mary is the largest church in South Bohemia, and a gift the monastery received indirectly from French King Louis IX the Pious is said to be a thorn from Christ’s crown, from which the monastery took its name. The Zlatá Koruna Monastery boasts a musical marvel. In 2012, it acquired a unique concert grand piano made by the renowned Berlin firm Carl Bechstein. It is the only instrument of its kind in the world, and it was originally made to order for the Imperial Palace in Saint Petersburg. The piano graces concerts at the monastery complex. The monastery was established in 1139. It was first inhabited by Benedictines from the nearby abbey in Sázava, then later by the community of Premonstratensians from Steinfeld in the Rhineland. Over its history it underwent a number of changes. After many fires it was restored several times – most notably in 1713–1720 in the spirit of the Baroque Gothic by the architect Jan Santini Aichel. During the communist totalitarian period of the second half of the 20th century, the monastery became an internment camp for spiritual leaders. It lies in the midst of nature in the scenic Vysočina region and can be reached via a variety of hiking and cycling trails. 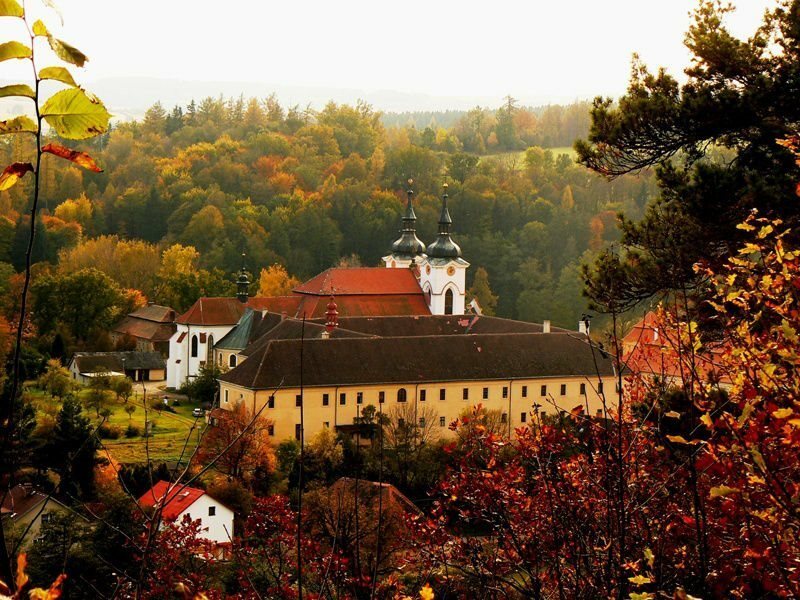 Part of the monastery complex is the Želiv Monastery Brewery, which produces six kinds of beer using traditional methods. You can also arrange accommodations in the monastery. Whoever wants to escape from the hustle and bustle of daily life can spend some time in the calm environment of the monastery in contemplation and prayer with the Premonstratensian brothers. 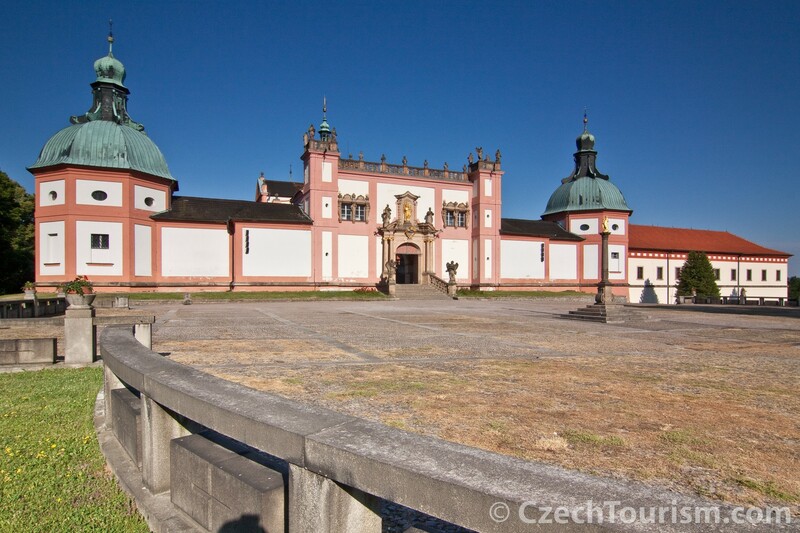 This Premonstratensian abbey was founded in the early 12th century in the picturesque countryside near Mariánské Lázně. The oldest surviving part is the Romanesque-Gothic hall church of the Annunciation of the Lord. 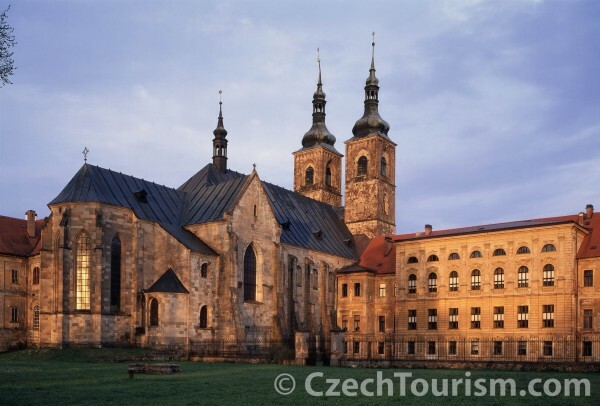 In the late 17th and early 18th centuries, the abbey was rebuilt in the Baroque style by Kryštof Dientzenhofer. The abbey library contains 100,000 volumes and is one of the oldest and most important historical libraries in the Czech Republic. The abbey complex includes a historical park with a pond and Stations of the Cross. Just beyond the abbey walls is a nine-hole golf course. During the tourist season, from Easter to the end of October, you can stay in a hotel in the Teplá Abbey. The foundation stone of the Cathedral of St. Barbara was laid in 1388, but it took 500 years for it to be completed. The leading artists of the time contributed to the building’s creation. 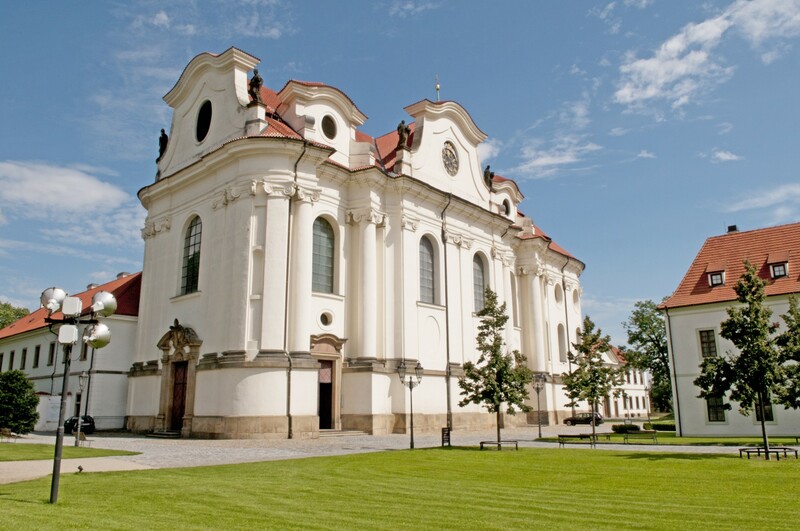 During the Baroque period, the administration of the cathedral was taken over by the Jesuits, whose former college now serves as the Gallery of the Central Bohemia Region (GASK). The most notable part of the Cathedral of St. Barbara artistically was not intended for the gaze of humans, and its precision can be appreciated only with binoculars. The walkways are composed of diverse creatures, including daemons, harpies and winged rams. The excellent interior acoustics and a pleasant atmosphere provides not just space for contemplation and prayer but also for regular organ concerts. The GASK Gallery attracts visitors interested in visual art of the 20th and 21st centuries. 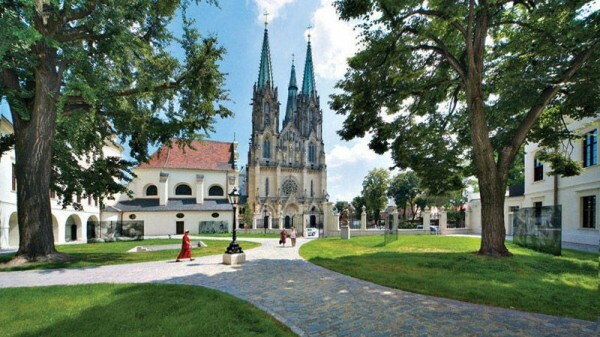 Take advantage of a combined ticket that allows you to visit GASK, the Sedlec Ossuary, the Cathedral of St. Barbara and the Church of the Assumption of the Virgin Mary. 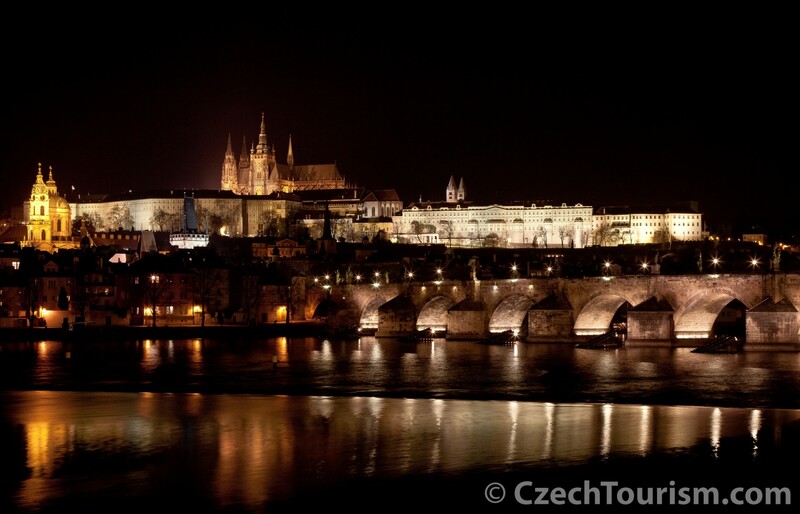 The dominant building of Prague Castle, it was dedicated to three major Czech saints. Construction began in 1344, when Prague was elevated to an archbishopric, and it was finished in 1929. Construction of the cathedral began in 1100, and it was consecrated 31 years later. It is among the jewels of Central European medieval architecture. With the height of its main tower spanning to 100.65 metres, it is the second largest church tower in the Czech Republic. The largest bell in Moravia is located in the cathedral. This magnificent Gothic building was founded together with the city in the late 13th century. 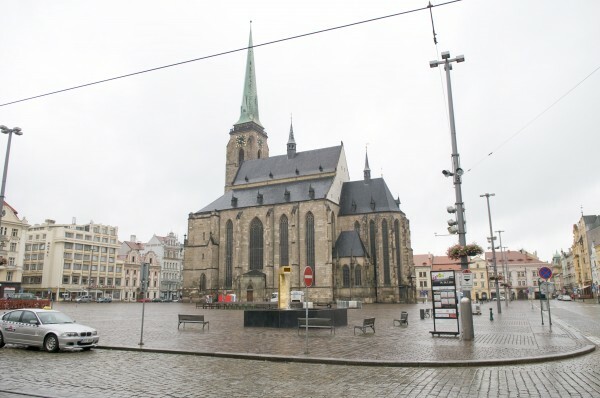 It stands in the centre of Plzeň on the Square of the Republic (Náměstí Republiky). The most valuable and famous artistic artefact in the church is a centuries-old statue of the Virgin Mary (called the Pilsen Madonna) from around 1390. An exceptional masterpiece of wood-carving is the monumental sculptural group Calvary from the 1560s. The cathedral is located in on a site where there probably once stood a castle and a Romanesque church. On those foundations, an early Gothic church was built in the 13th and 14th centuries, which became a cathedral in 1777, after the establishment of a bishopric in Brno. Pilgrimages to sacred places used to be an integral part of life. 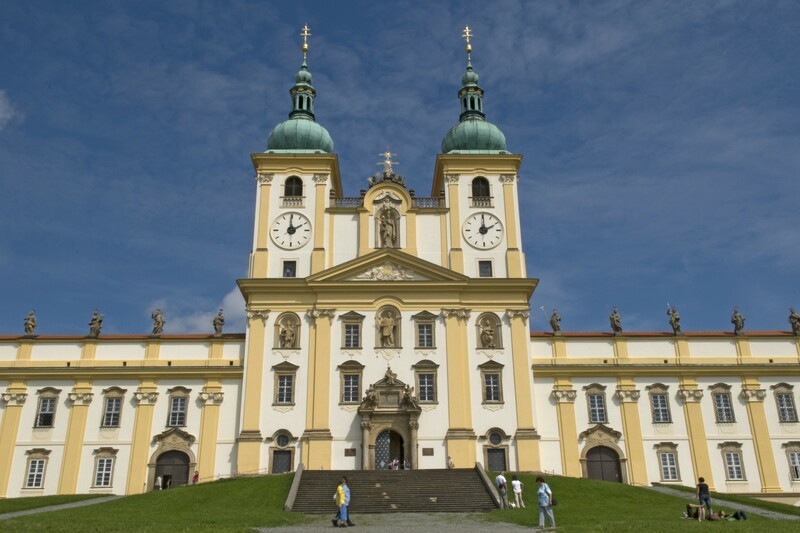 On the outskirts of Olomouc is one of the architectural gems of central Moravia – the Basilica minor of the Visitation of the Virgin Mary with a Premonstratensian monastery on Holy Hill. The large 17th-century complex towers over the entire region and is the most beautiful example of Moravian Baroque architecture. To this day, crowds of pilgrims come here for contemplation and prayer. The basilica is one of the most visited sites in the region. In 1995, Pope John Paul II visited Holy Hill, where he met with young people. The Holy Trinity Column in the centre of Olomouc is one of the key works of the Central European Baroque and is a UNESCO monument. Rising above Příbram in Central Bohemia is Svatá Hora (Holy Mountain), which probably got its name because of the legend that it was once inhabited by a hermit – a holy man. It is also said that a chapel was originally founded here in the 13th century by a knight of the house of Malovec. The first preserved record of its ground plan, upon which the present basilica was based, dates from 1658. Pilgrims stream to the Holy Mountain also to see the Virgin Mary of Svatá Hora, a famous Gothic wood carving which is said to guide and heal. The small statue of Jesus housed in the originally Lutheran Church of Our Lady Victorious in Prague is perhaps more famous abroad than in the Czech Republic. Every day this shrine is visited by hundreds of pilgrims from all corners of the world. The Christ Child raises his right arm in blessing, while in his left hand he wields an orb with a cross as a symbol of the world, which he symbolically holds in his hand. The Infant Jesus statue came to Prague from Spain. It was given to Duchess Maria Manrique de Lara as a wedding gift from her mother in 1556, when the noblewoman married into a Bohemian noble family. Maria’s daughter Polyxena of Lobkowicz then donated the wooden infant dressed in a long gown to the Carmelites. In the 17th century, during the Thirty Years’ War, the statue of Jesus lost both of its hands when it was carried off by Saxon troops. Father Cyril later had new hands made for the statue. The statue of the Infant Jesus of Prague is credited with a wide variety of miraculous cures, and supposedly saved Prague from the Swedes in 1639. In 1655 the statue was crowned by the bishop of Prague, which is commemorated with an annual celebration on the first Sunday in May. The Via Sacra, Latin for Holy Road, is 550 kilometres long and traces an old trade route leading through three countries – the Czech Republic, Poland and Germany. You can meet up with its Czech section in the town of Hejnice, where you’ll find one of the most famous pilgrimage sites in the Liberec region: the Basilica of the Visitation of the Virgin Mary with the Baroque Franciscan monastery from the first half of the 18th century. Legend has it that on the site of the basilica in Hejnice, a tree once stood. When a poor craftsman hung a statue of the Virgin Mary on it, angels appeared to him. It is a short distance from Hejnice to the Libverda Spa, which has a beautiful colonnade from the 19th century. Nearby is a restaurant built in 1931 in a giant barrel. Another point on the Via Sacra is the recently discovered Order of the Knights of St. John’ commandry of Sts. Zdislava and Havel of Lemberk in Český Dub. It is one of the oldest Gothic and Romanesque monuments in the region. Another stop should be the Capuchin monastery complex from the 17th century in Mnichovo Hradiště, including the Church of the Three Kings from the same period. 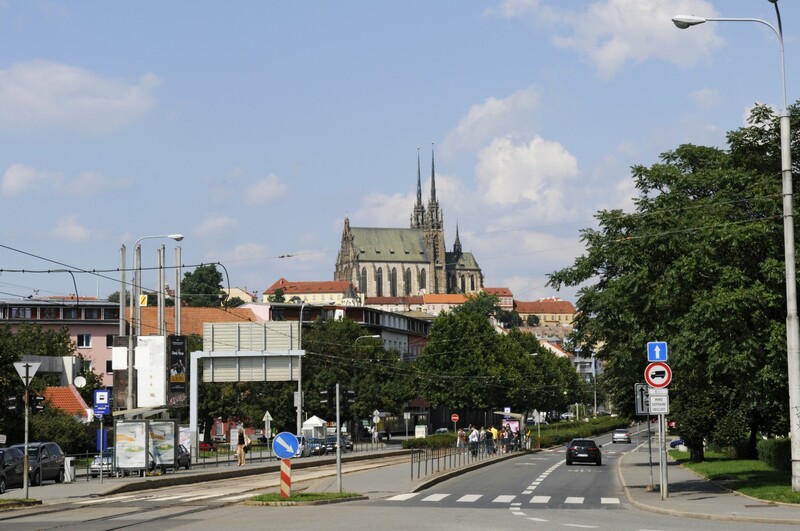 You can end your journey along the Via Sacra in Jablonné v Podještědí, where a Dominican monastery has stood since 1250 and where St. Zdislava was buried the Church of St. Lawrence. Even from the Czech Republic it is possible to set off towards Santiago de Compostela along the increasingly popular Way of St. James to take part in a journey pilgrims have been experiencing centuries. Several Way of St. James routes lead through the Czech Republic, linking up with routes in Germany and Austria. The northern branch comes from Zbraslav near Prague and continues to Karlštejn, Beroun, Plasy, Krkavec hill and Stříbro to Kladruby. Then it leads through Bělá nad Radbuzou to Železná, where it crosses the Czech-German border near the Park of Reconciliation and connects with a route leading to Nuremberg. The southern branch leads from Karlštejn through Mníšek pod Brdy, Dobříš, Příbram, Nepomuk, Klatovy and Kdyně to the border crossing of Všeruby/Eschlkam, and then continues along the East Bavarian Way of St. James in the direction of Regensburg. The first marked segment along the Way of St. James in Moravia is the route from Brno to Mikulov. It connects with the Austrian route leading through part of the Weinviertel (meaning “wine quarter”) region in Lower Austria. The route was extended in the direction of Olomouc and up to the Polish border, and thus traverses all of Moravia.